Above Water is your first choice for foundation repair and concrete restorations. 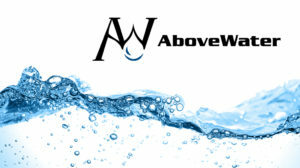 Above Water Inc. is a leading structural waterproofing & concrete business with over 14 years of experience and growing. It is a family owned and operated company which thrives for customer satisfaction and perfection in all its work. If you have been looking for fast, trustworthy and reliable professionals who specialize in residential and commercial waterproofing and concrete repair projects, then look no further, Above Water Inc. is just that and more. Having managed and completed a large volume of projects in Ottawa and surrounding areas, we have gained the experience, the tools, and the skills to manage any project, big or small and since we are a family operated business, we can offer our customers competitive prices. 20 years transferable warranty on foundation repair Above Water Inc. is licensed and fully insured so that you know your project is in safe hands. Safety of your home and possesions drives our design and performance on all our waterproofing and restoration projects. Above Water Inc. is very proud of the team of highly trained concrete and waterproofing professionals we have assembled to help keep your home or business dry.